The Pros and Cons of this Sportstech X100 F-Bike. 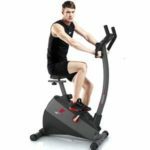 Many users are pleased with the motions and the workout offered with this Sportstech X100 Exercise Bike. This machine is built to offer a reliable workout that goes beyond the usual motions of a bike machine. There is a two way magnetic resistance system for toning the legs and burning calories. But, there is also resistance band system for arm movements. Users can achieve a more beneficial workout this way, and many say that they do so in comfort. The seat has enough support, the build of the Sportstech exercise bike is surprisingly sturdy and there is little noise from the 4kg flywheel and crank system. 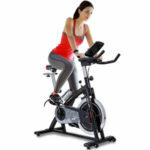 There is a clear sense that the makers of this gym bike put a lot of thought into the features and functions. 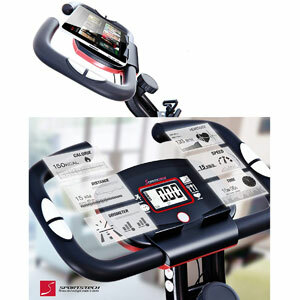 There is that large LCD console that provides a clear picture of the session, all the buttons are accessible and easy to understand and the stationary bike is height adjustable. Once finished, users can fold the X-frame with ease and store the bike until next time. 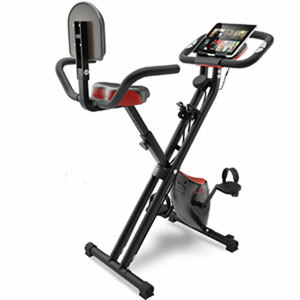 However, there are some construction issues with this Sportstech X100 Exercise Bike that can be frustrating. The main issue with this fitness bike is the build quality. While there is a sturdy feel and a nice 100kg weight allowance, there are some smaller issues. Some note that the holes and parts don’t always align correctly during assembly. This means that some struggle with the height adjustment system. Others find it difficult to change the battery because of the design of the battery holder. Otherwise, must users are impressed with the product. There are small faults in the construction and computer here and there, but nothing too common. What does this all mean for a final verdict on this Sportstech F-Bike? There are areas where the designers of this gym bike could make some improvements. There is little wrong with the function and workout offered. The inclusion of the bands is a nice touch and the large console is helpful. But, users would like to see a little more attention to detail on the build quality and parts. 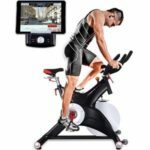 With a few tweaks here and there, this Sportstech exercise bike could be a great mid-way point between an intense exercise machine and a user-friendly bike. Find more reviews about the Sportstech X100 F-Bike on Amazon here.